The Days was once the collaboration between brothers Addison and Robert Day. The two began writing together while sharing a one-bedroom apartment in Arlington, TX. Robert (guitar) was studying architecture at UTA and Addison (keyboard) was studying classical voice. The brothers moved to Denton and spent the next year playing with musicians until meeting Abdon Gonzalez (drums) and Glen Farris (bass). Their music is a blend of old styles, the result of years glued to oldies radio stations, and they make no apologies. “Sometimes I imagine us being The Jackson 5 or Dr. Teeth and The Electric Mayhem,” admits Addison (keys) whose vocals and harmonies bare little resemblance to the traditional style of his training. In February 2013, The Days released their first demos. They recorded the two tracks in Abdon’s home-studio, and made them available on their website. Glen Farris has been playing about town for years, seen on stage with Doug Burr, The Naptime Shake and now The Days, among others. His solo crooning will warm the cockles of your heart and leave you wanting more. 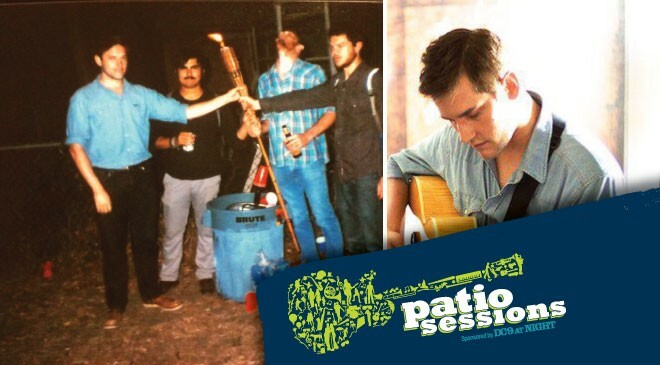 Patio Sessions Food Trucks Epic Cones, Pompeii, Simply Dosa, Cup Cakin Machine will be serving from 4:00 pm to 8:00 pm.